New Jersey’s tallest building is located at 30 Hudson Street in Jersey City. 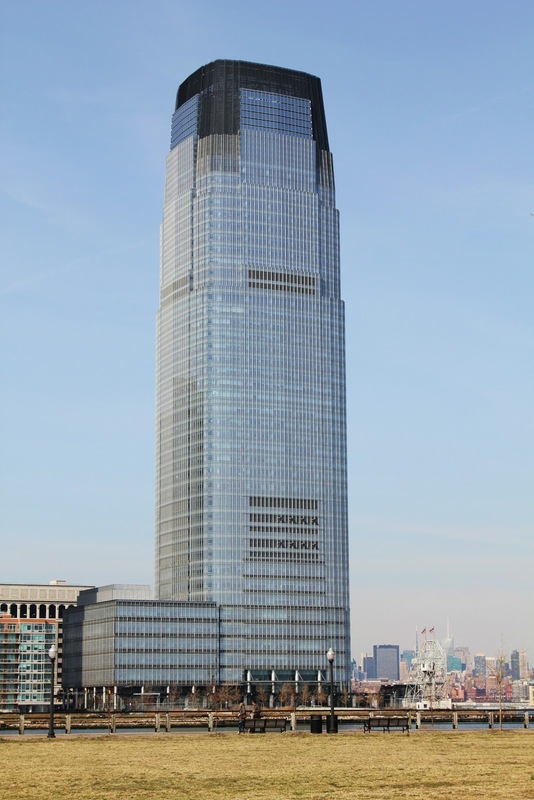 It is known as both Goldman Sachs Tower and 30 Hudson Street. This Modernist skyscraper stands 781 feet tall and has 42 floors. It was constructed from 2001 to 2004. The building has a steel structure and a blue curtain wall façade. It is used as primarily for commercial office space. The tower is the the tallest US building located outside its metropolitan area’s largest city. The building was designed by Cesar Pelli and is managed by Grubb & Ellis Property Management. In addition to offices, it offers a full service fitness center and a physical therapy clinic.